I decided I'd had enough of working on hands, and couldn't think of a new theme so I've decided to just go with drawing random stuff each day until I come up with a new theme to work on. 19 minutes for this one. 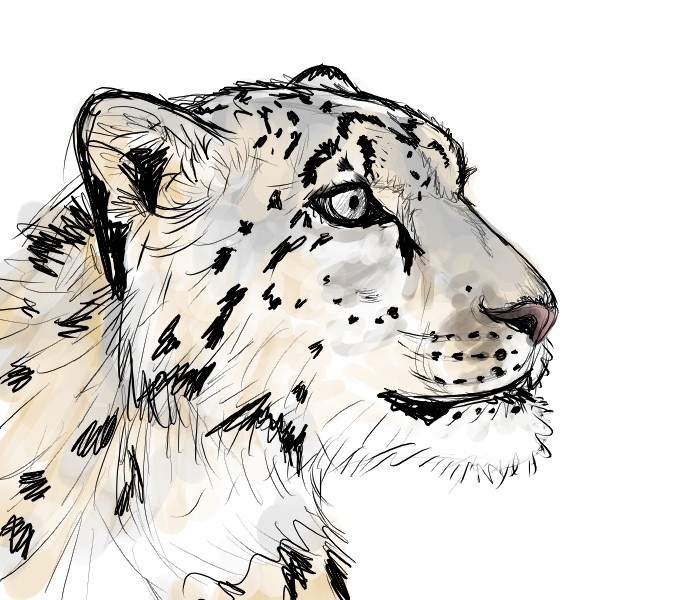 Going right back to my daily sketch roots with a snowleopard drawn from a photo reference.